The only thing you need to decide now is whether you would like the 400g or 1kg flavour from the dropdown menu below. 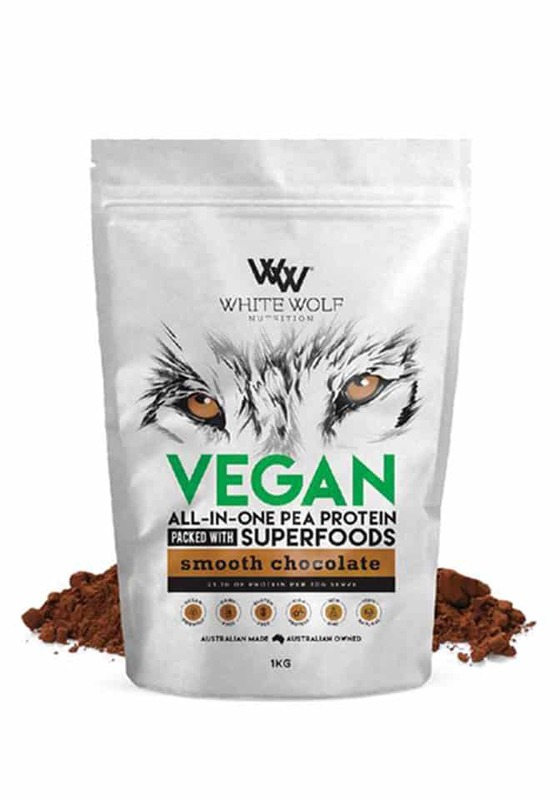 White Wolf Nutritions All-in-one Vegan Pea Protein is a naturally flavoured, organic pea protein Isolate. The vegan protein chocolate flavour is sweetened using organic stevia. Not only that but we’ve added amino acids with a superfood blend, multivitamins and prebiotics for gut health. This naturally complete, quick releasing protein is made from non-GMO organic golden yellow peas, extracted through a natural process to ensure maximum bio-availability. 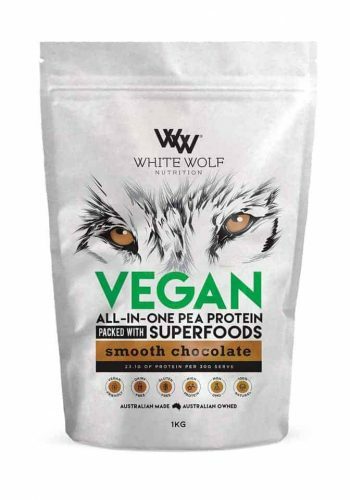 Our pea protein blend is the perfect choice for vegans and is free from dairy, soy and gluten. White Wolf Nutrition’s Vegan All-In-One protein is a smooth and creamy, naturally complete, quick releasing protein made from non-GMO, superior organic Belgium golden-yellow peas, extracted through a natural process to ensure maximum bio-availability. It is naturally sweetened using organic stevia sourced locally from Australian farms and is flavoured with a natural, creamy, delicate cacao. 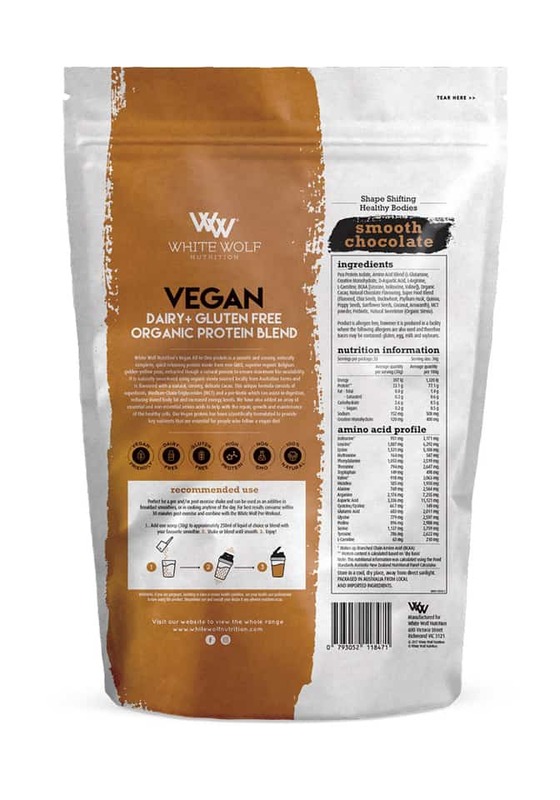 The Vegan Protein Chocolate flavour comes in two handy sizes. You can choose from either the 400g or the 1kg pack.